Ignoring her jibes, I hesitantly pressed the pedal that controlled the slippery red clay – the wobbly mass forming a questionable shape between my hands. This was my first time ‘throwing clay’ and as my creation was lifted from the wheel, I suspected it was also my last. It resembled more of a sunken volcano than a bowl. 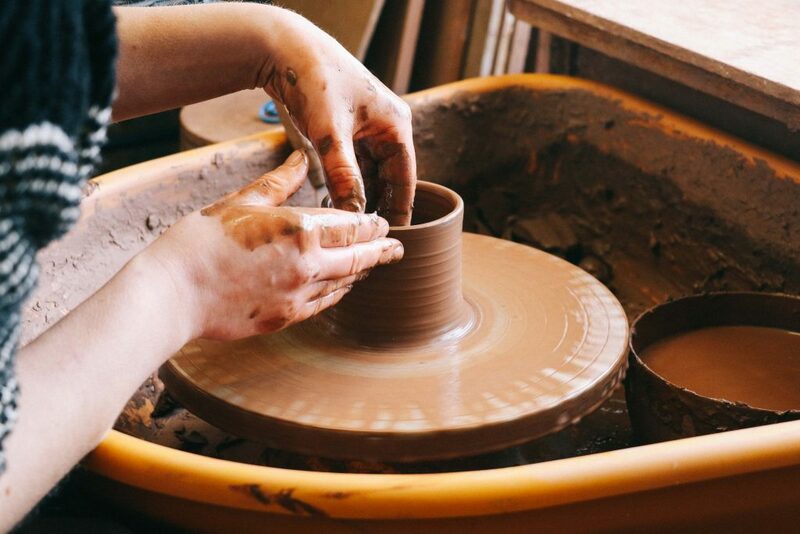 Failing to hide her sniggers, Laura quickly captured the moment on camera: my failed attempt at pottery immortalised forever in a Facebook post. This unexpected scene unfolded early last week on a wintery Tuesday morning; the sun bouncing off the freshly fallen snow that surrounded Penny Simpson’s pottery studio in Moretonhampstead, Dartmoor. 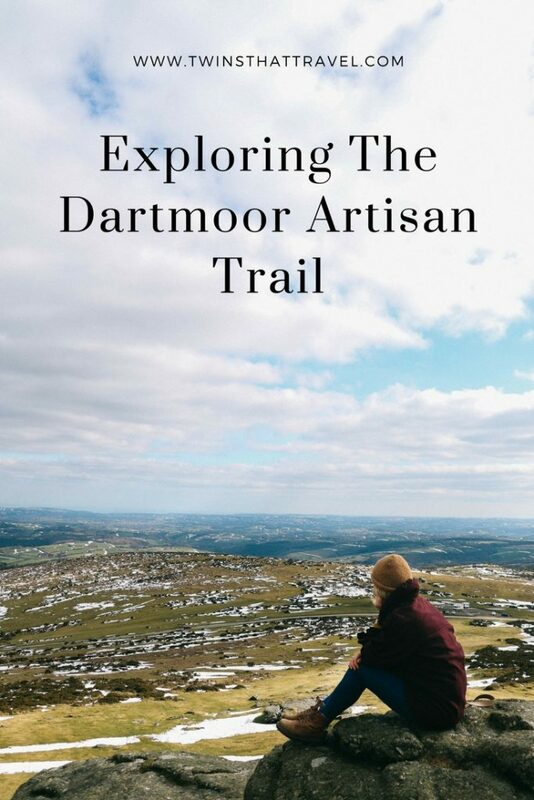 Penny’s studio was our first stop on The Dartmoor Artisan Trail: a self-guided trail that would take us across the Moor to discover Devon’s thriving community of talented artisans. Arriving in the market town an hour earlier – the snowmelt forming sparkling streams down the streets – Laura had a revelation. ‘Hang on a minute, I went to this Co-op store last November!’ she said, ‘But how did I miss an entire Artisan Trail on my quest for a loaf of bread?’ Peering through my snowy window, I looked for any hints of the mysterious artisan trail. To me, it looked like most unassuming, rural market towns. I was puzzled. 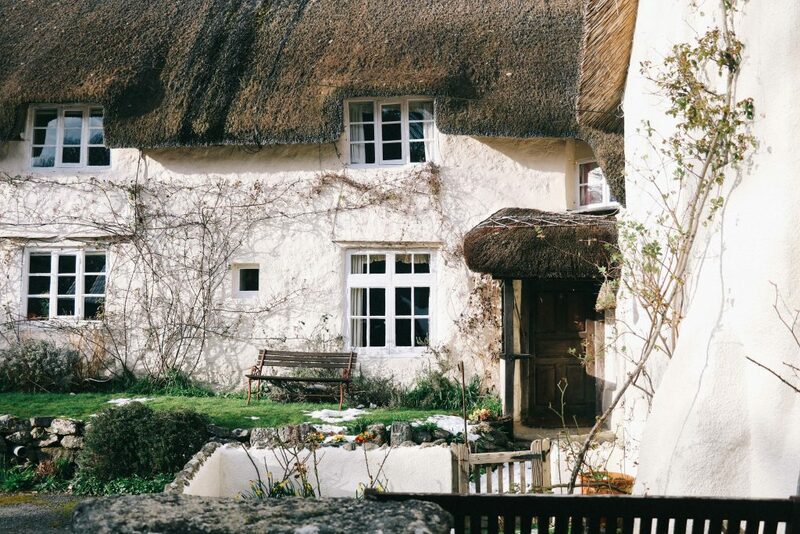 As we were to discover, however, take the time to look a little closer and amongst the town’s thatched cottages and local shops, you’ll find a vibrant, busy and talented community of artists and craftspeople. 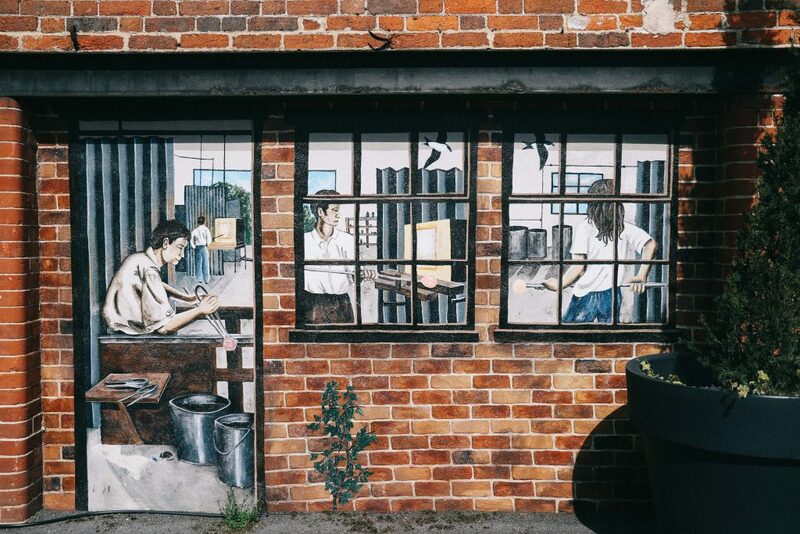 We were here to meet just a few of them: beginning with the local potter. Undeterred by my disastrous bowl making, the incredibly talented and patient, Tash – Penny’s apprentice – continued to show us around the pottery studio. Penny, as it turns out, was away in Japan at an exhibition. Touring the studio, we learned about Penny’s craft: one that had begun in Japan in the 1970s before bringing her to Dartmoor in 1994. 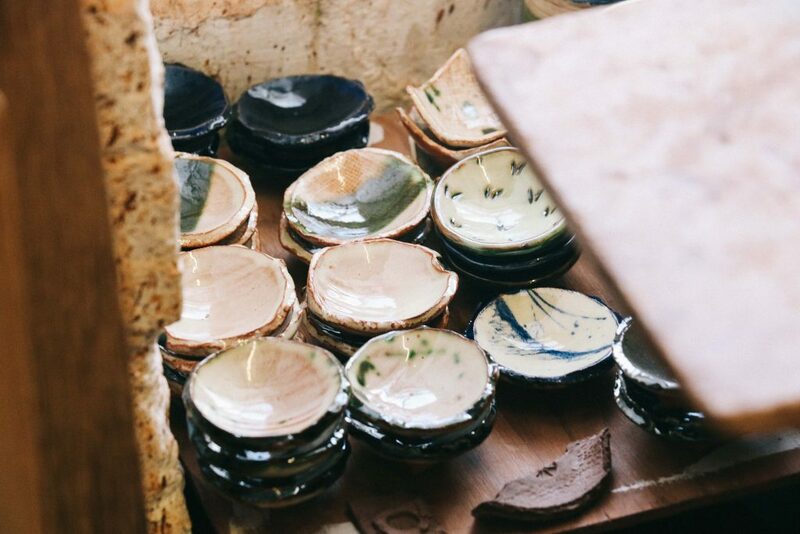 The studio and small shop below were crammed with Penny’s hand-thrown and slab-built ceramics, including mugs, bowls, plates and vases. All were adorned with beautifully delicate birds, trees and flowers. Sensing that my potter’s wheel experience hadn’t been hugely successful, Tash kindly offered me an opportunity to redeem myself after my bowl disaster, with one final go at the clay. Turning the large wheel of what (in non-technical terms) appeared to be a giant steel rolling pin, I watched as the red clay became smooth and flat. It was a process that was unexpectedly soothing and satisfying. Now ready to sculpt, we set to work making our very own tiny wall vases. 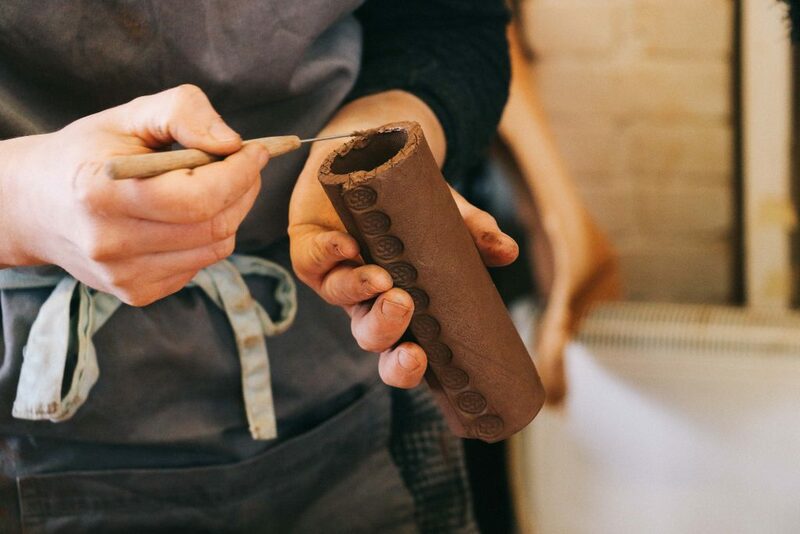 Our hour-long vase-making workshop passed in a satisfying blur of squishing clay and cheerful chatter. Listening to Tash’s journey to becoming Penny’s apprentice and to stories of her life on ‘the moor’ was fascinating. We left questioning whether, despite our distinct lack of pottery skills, a new life as mindful potters was still possible. Just a five-minute walk on from Penny’s and we arrived at our next working studio. The gates to the yard bore the sign: ‘The Forge’. Making our way into the garden that housed the 150-year old stone forge, the sudden sound of metal against metal cut through the air. 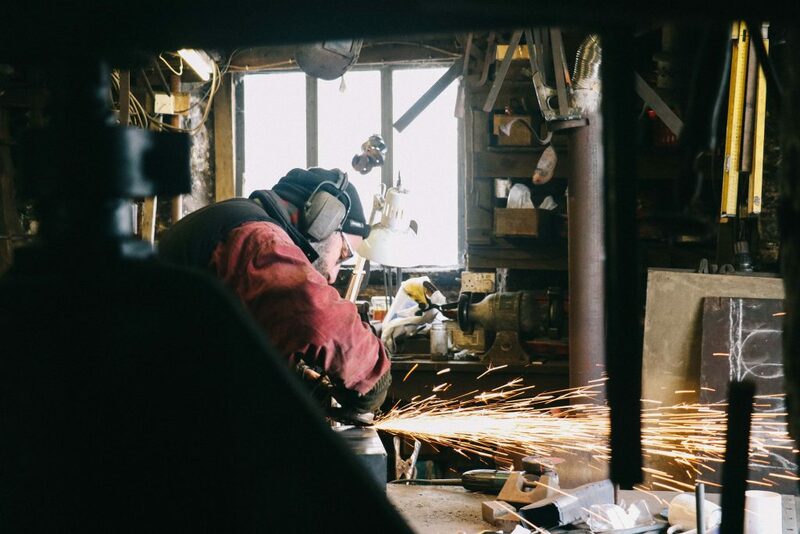 We had found our next artisan on The Dartmoor Artisan Trail: the Blacksmith. 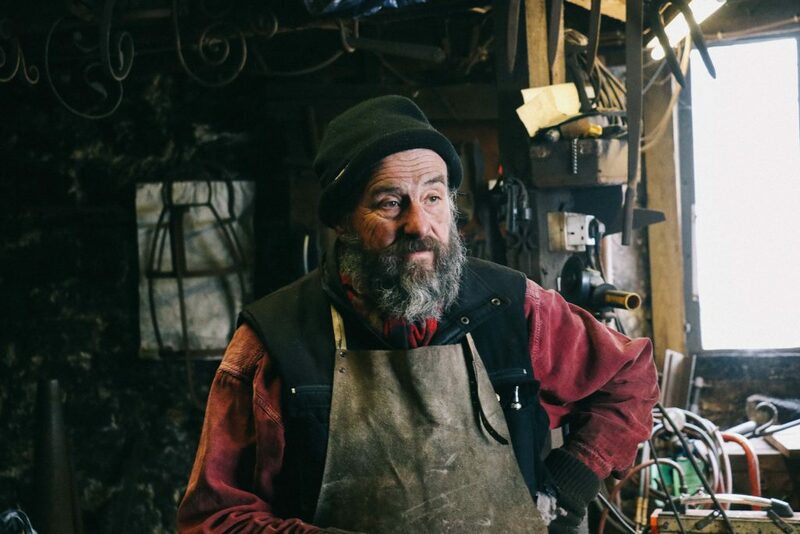 Staring up at the assortment of iron railings and traditional tools that hung from the rafters, I asked Greg if he’d always been a Blacksmith. It was a skill I’d presumed was passed down between generations. 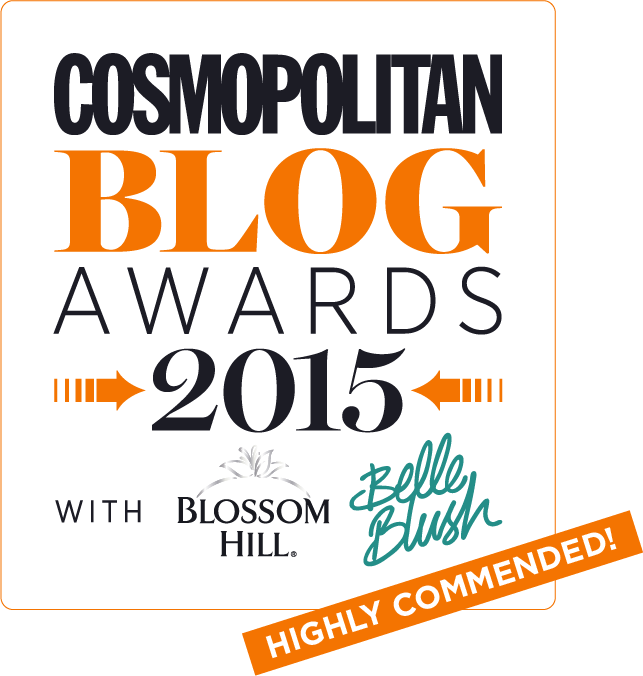 ‘I actually used to work in IT in London,’ he replied, a wry smile spreading across his face. This unexpected fact was one that he clearly liked to surprise nosy guests with. Looking at Greg in his worn apron and gloves – a person so obviously at home amongst the metal and heat – it seemed almost laughable that he’d ever survived life in a stale office environment. ‘I always knew that I didn’t want the big house or big car,’ he continued, ‘and so when the opportunity came to buy this Forge, I knew what to spend my money on’. Eighteen years on, Greg belongs to just a small handful of blacksmiths in Dartmoor who continue to fire up the traditional coal fires. A welcome heat on such a snowy, wintery Tuesday, where our breath fogged and swirled around the centuries old building. Harbouring an unlikely enthusiasm for practical crafts – my chosen GCSE subject being woodwork – our time inside Greg’s Aladdin’s Cave of creations was fascinating. From discarded bottle openers, to giant iron gates for expensive homes, Greg showed us around a forge swimming under 18-years’ worth of work and tools. It was like our Dad’s garden shed, but better. Before we left, I asked if Greg could be found in the forge most days. He nodded, before saying, ‘Well, actually, not yesterday. Yesterday, my friend’s called to see if I wanted to go sledging in the snow. And I wasn’t going to turn that down.’ It seemed that since leaving the rat race, Greg had mastered his work-life balance all too well. Hunkering down in a nearby cafe after our first two stops on the The Dartmoor Artisan Trail, we warmed our hands over pots of steaming tea and reflected on our morning spent in two worlds so different from our own. In these worlds, you required dexterous hands and complete concentration; a contrast to the short attention spans required in our digital lives. Watching Tash and Greg commit such attention to their arts was truly lovely; the painstaking journey from raw material to polished product making us realise the importance of valuing the things we buy. Glugging down my final cup of tea, and eager to resume our Artisan trail, we headed from the cafe on our two-minute walk to a chapel. Here waited the unlikely home of Yuli Somme, a felt maker and owner of the studio Bellacouche Felt. 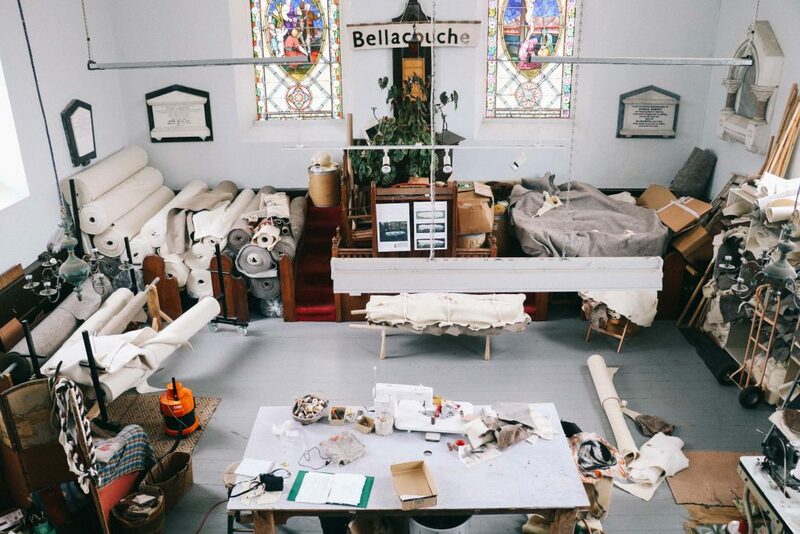 Inside, the traditional chapel space had been transformed into a busy, colourful workshop. Crammed full of different coloured felt, work stations and products, Yuli appeared in the midst of its busyness clutching a large mug. ‘It’s chilly isn’t it,’ she said, ‘but I’ve come prepared.’ Lifting up her skirt, she revealed a bright coloured pair of felt trousers. I liked her already. 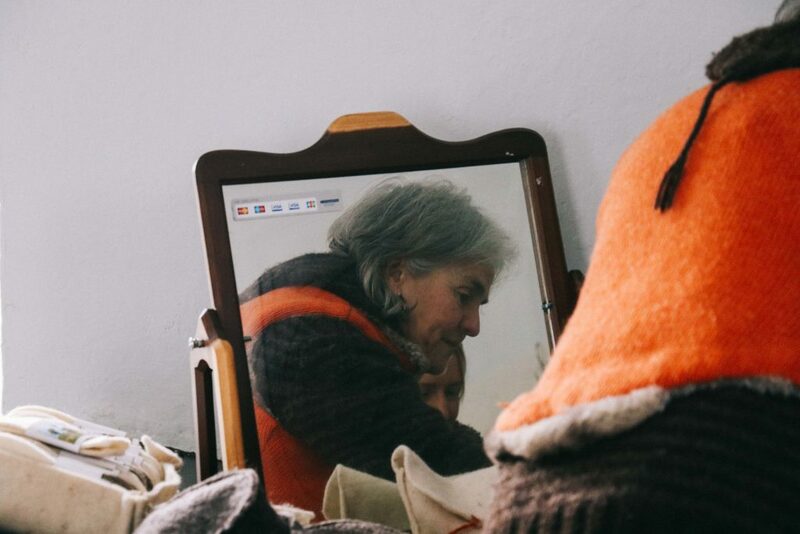 Yuli told us that she’d been a felt maker since the 1990s, a calling inspired by her Norwegian roots, where a strong knitting and weaving culture exists. 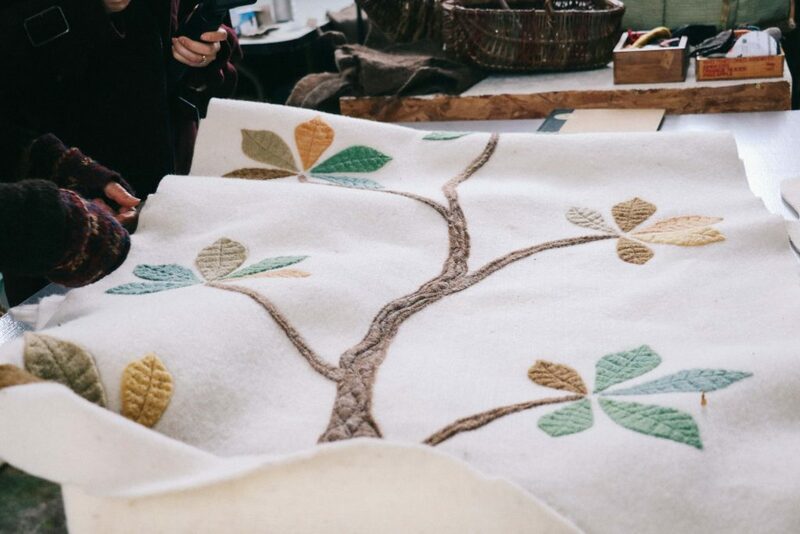 Now running ‘Becllacouche’ – meaning “beautiful resting place” – from a former Unitarian chapel, Yuli’s business is an environmentally-friendly one, with the wool for the felt sourced from the surrounding fields. Intrigued by one particular fact of Yuli that had been detailed in our itinerary, we began by asking our felt artisan to tell us a little more about the burial shroud that was displayed in the centre of the chapel. As the UK’s only remaining maker of burial shrouds, Yuli continues a tradition that dates back to the 17th century, when it was law to be buried in wool. It’s a law that perhaps makes more sense given the context of the time – when wool was the most important industry in the UK. Thus, in order to keep the trade in business, and with plenty of bodies to bury, the government had found a clever way to ensure the wool trade was kept in demand through enforced wool burials. How morbidly enterprising. 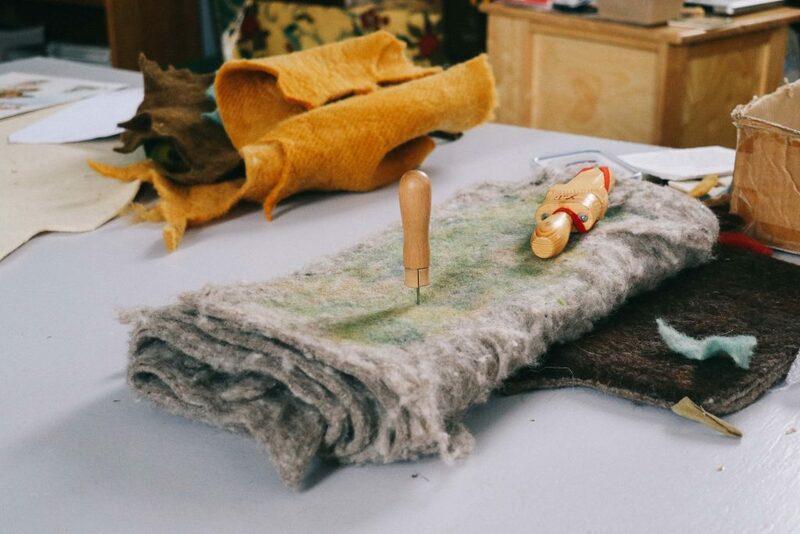 Yuli continues this tradition from her chapel workshop, creating hand-crafted, personal shrouds for families looking for a more sensitive way to bury their loved ones. For Yuli, the burial shrouds or ‘Leafcocoons’, mean far more than simply keeping with a centuries old law. ‘We are zipped up in a plastic bag as if last week’s rubbish’, she said. Burial shrouds, on the other hand, signal a more personalised and loving approach to death. It’s one that restores both the body and the shroud to nature. After watching a demonstration from Yuli on felt making, we wandered to the top of the chapel to see more of her work. 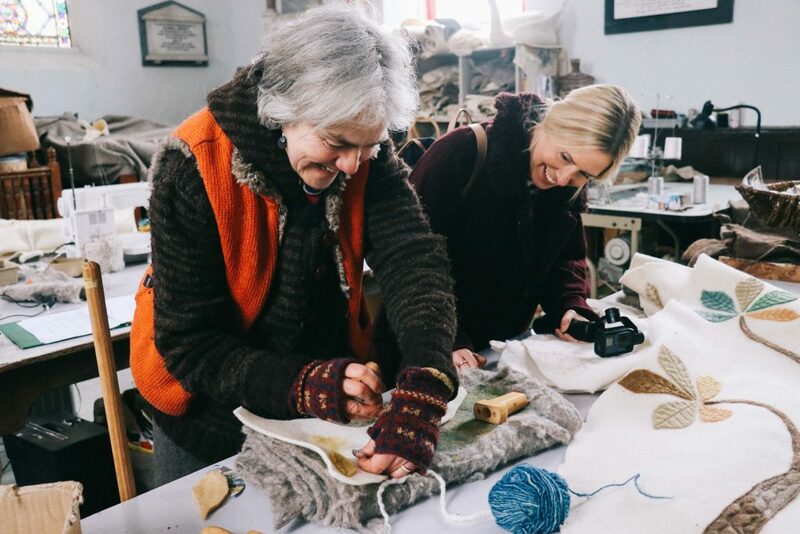 From hot water bottle covers to cosy yoga pillows, the upper floor was bursting with beautiful felt creations: all of which were clearly crafted with intent, meaning and care. ‘You must be the twins,’ a voice said from behind a large, industrial sewing machine. 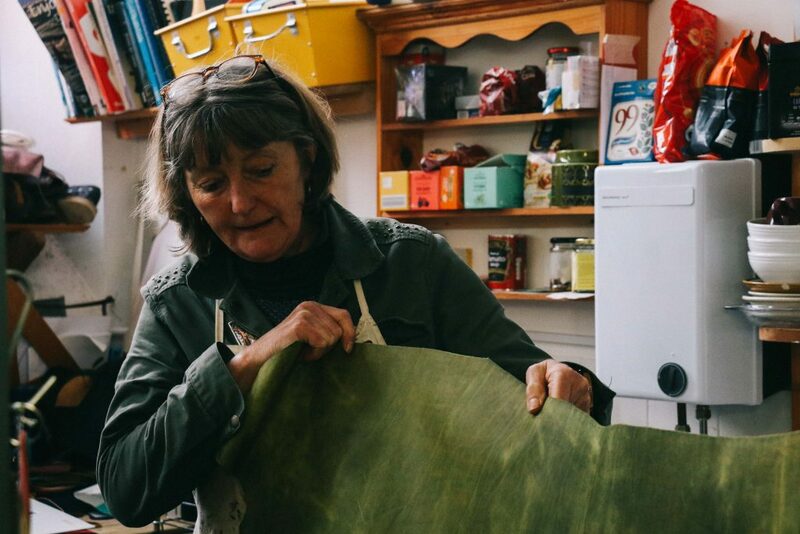 Scurrying in from the snow, we peeped over the top of the machine to discover the cheery face of Alison Hastie – owner of Green Shoes and our final working studio visit of the day. 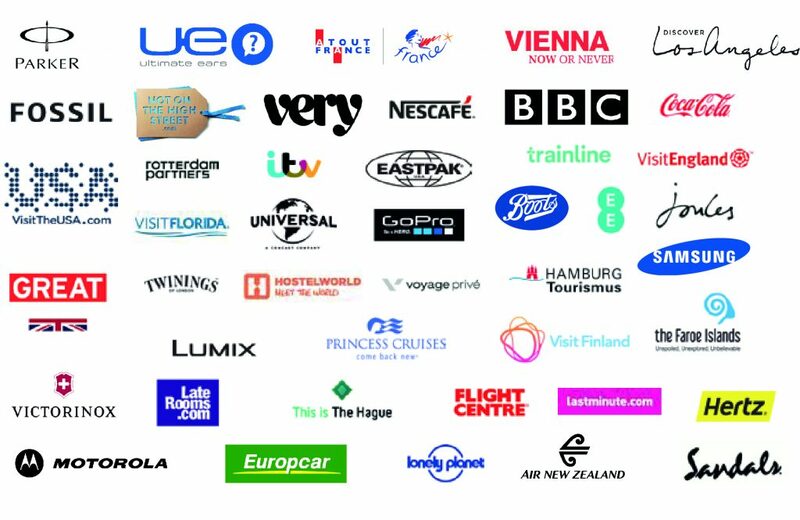 Established in 1981, Green Shoes is listed as one of the world’s most ethical shoemakers. 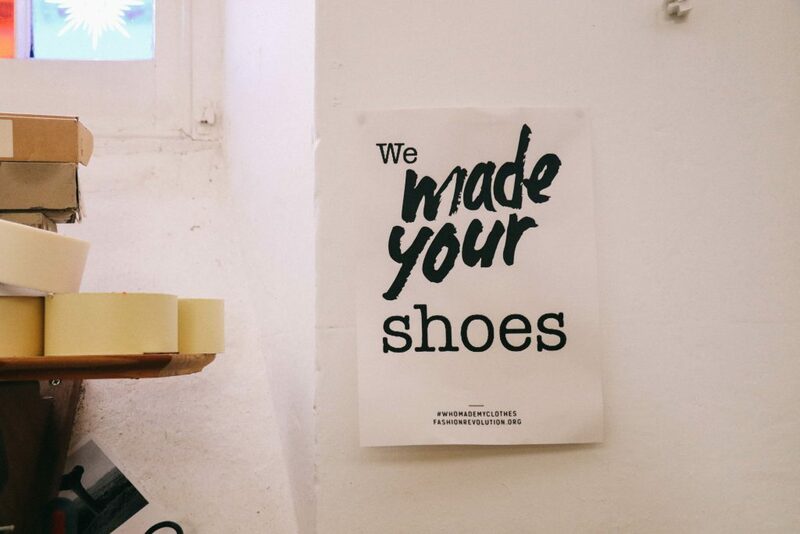 Housed in yet another atmospheric chapel, Alison and her small team craft hand-made, custom shoes that are sourced from full-grain leather or vegan alternatives. Unlike our £10 pair of Primark pumps, which often get discarded after a couple of months, Green Shoes are resoleable and can last many years. Feeling increasingly guilty at our often lack of thought to the longevitiy of the products we buy, Laura and I toured the chapel of shoes. On the top floor we discovered perhaps our favourite ‘Green Shoes’ products: neatly lined pairs of pixie like, wool slippers. Grabbing a pair, Laura immediately tore off her walking boots. Having endured endless moans about her chillblane riddled feet, even I encouraged her to slip on a pair. Clearly delighted at the instant warmth and comfort, Laura declared she’d buy them. A convert to sustainable shoes already – Alison had done well. As our day drew to a close, we reluctantly left the bustling, cosy confines of Green Shoes behind; leaving Alison to get back to work on an order of shoes for a doctor based in South Africa. Stepping back into the chilly afternoon air – Laura clutching her much loved wool slippers – we gazed around the streets of Moretonhampsted. 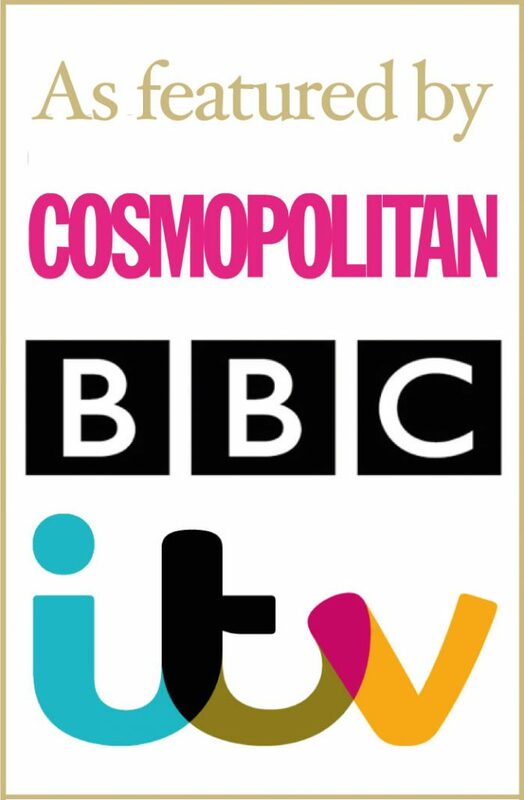 Our day absorbed in the work of some of the finest artisan’s in the UK had been a fascinating, yet entirely unexpected, one. We left the town with a commitment to champion artisans such as Penny, Greg, Yuli and Alison: people who have bravely turned their back on mass production for traditional craft and skill. We later returned to the Ilsington Country House Hotel via a small detour to a picturesque village. With our drive in the morning taking us past chocolate-box cottages and picture-perfect hamlets, we were eager to explore a little more. Before leaving Green Shoes, we asked Alison for any recommendations. ‘Oh, you must got to Lustleigh,’ she said, ‘It’s where all the May Queens are’. Intrigued, we popped the village into our sat-nav and set off to explore. Home to a village orchard and large rock that bears the nams of every May Queen since the 1950s, we pottered around the village of Lustleigh in the afternoon sun. The snow now transformed into gushing brooks and bubbling rivers, the village was alive with the fast changing season. 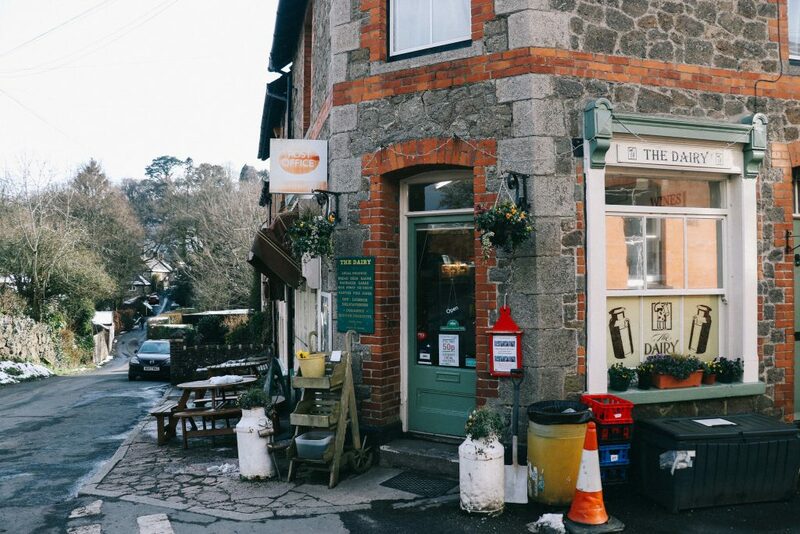 Villages such as Lustleigh are a ‘must’ for those exploring Dartmoor; particularly those looking for that famed postcard shot. Returning back to our hotel that night, we warmed ourselves in the hotel’s somewhat unexpected luxurious spa as random facts from the day bubbled up like the jacuzzi bubbles that were warming our chilly toes. 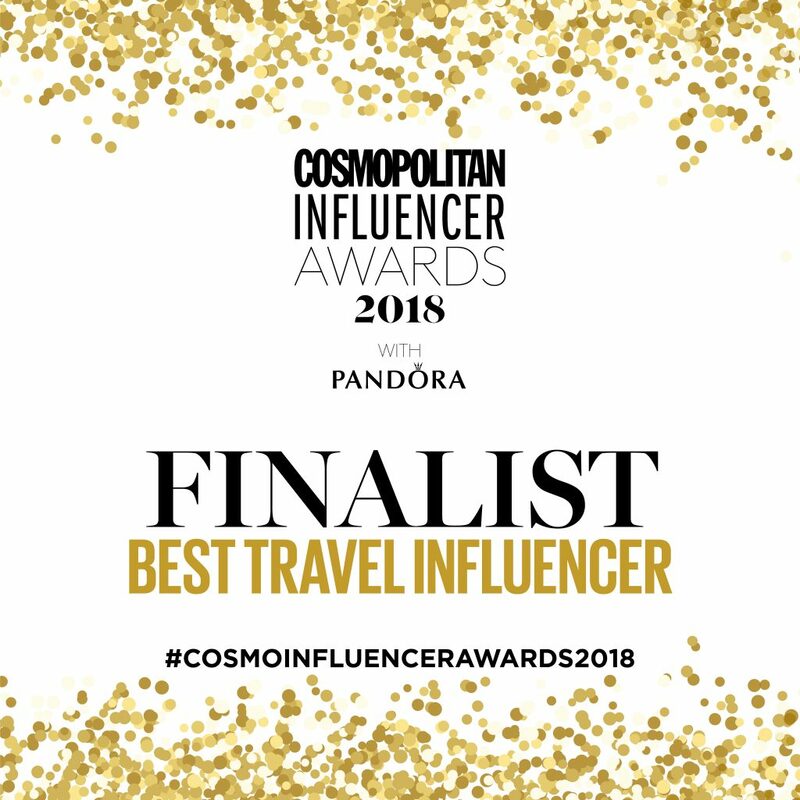 Ilsington Country House Hotel, we discovered, was the ideal place to stay for anyone exploring The Dartmoor Artisan Trail, offering comfort and relaxation after a long day of craft. The following morning, after a hearty breakfast at the hotel, we headed out into the Devon sunshine to continue our crafty trail. Our first stop, according to our busy itinerary, would be The Devon Guild of Craftsmen, just five-minutes from Ilsington. 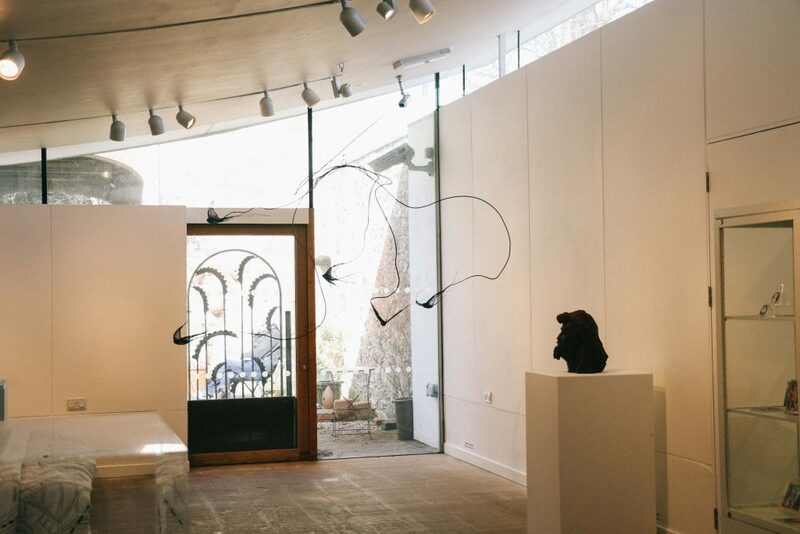 Located in the idyllic Riverside Mill, the Guild is a membership organisation for Devon’s artisans and craftspeople, and regularly shows contemporary exhibitions. The sun streaming through the windows as we arrived, we were met by Tessa Stone, Executive Director of the Guild, who took us on a tour of the mill and the treasures found inside. As we discovered, many of the craftspeople and artisans we met on our trail the previous day, were members of the Guild. Visiting here after the trail therefore seemed fitting, bringing us full circle having met the artisans, learnt their craft and now finally viewing their beautiful products on display. As we left, we spotted some of Penny’s colourful pottery pieces glinting in the sunshine. I smiled, imagining my wobbly, sunken volcano ‘bowl’ joining the ranks of her perfectly round masterpieces. I certainly had some way to go before I could join these incredibly talented craftspeople. Our final creative stop on our Dartmoor microadventure was to the House of Marbles. As avid marble collectors as children (woodwork and marbles, what an effortlessly cool child), we were unusually excited about this visit. Makers and hoarders of glass marbles and old-school board games, the House of Marbles was a childhood dream come true. Making a beeline for the marbles, Laura and I spent longer than was normal clutching the various marble designs we’d collected as children. From tiny, milky white marbles with flecks of gold, through to giant, glass marbles that looked like planets, I had forgotten what happiness I had taken from my little marble collection as a kid. It took all of my strength not to purchase a new starter kit. After a delicious lunch at the House of Marbles – a restaurant that backed onto the old pottery kilns – we decided it was time to stretch our legs a little. With the afternoon spare before heading to our final night’s stay at YurtCamp, we decided to go on a slightly different adventure. 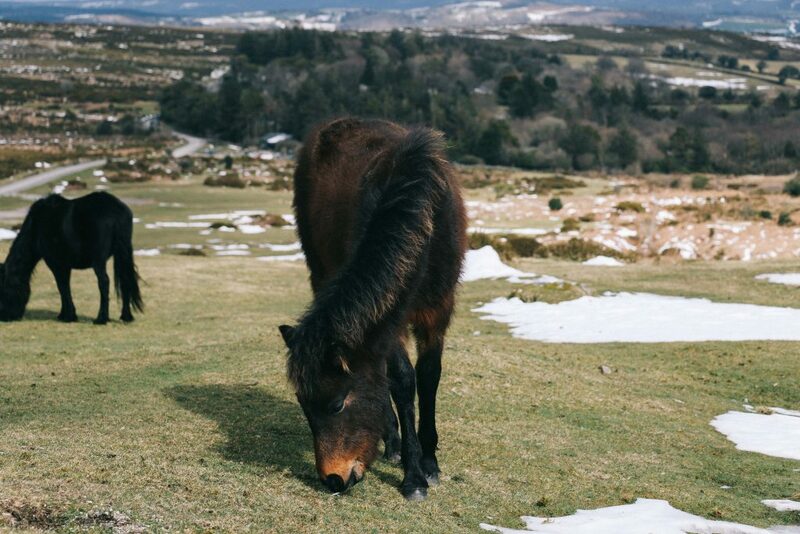 One that would (hopefully) lead us to one of Dartmoor’s most famed sights: the wild ponies. Forming a small clan with a visiting family and their over-excited sheep dog, we began to pick our way up our selected tor. It was a satisfying climb – the worn stone providing stepping stones made by centuries old visitors. Yapping excitedly, our new furry friend encouraged us up to the final stone, where the wild moor was revealed in all its beauty. 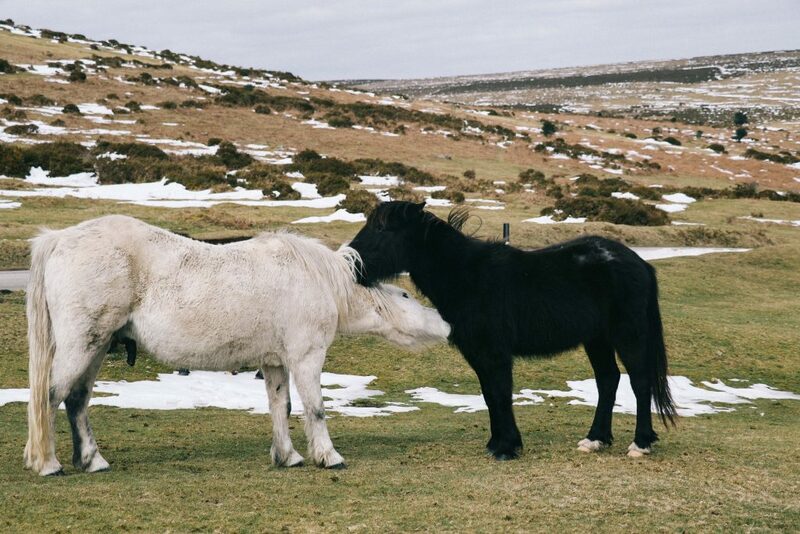 Below, the ponies we had seen on our walk up were now tiny dots – ambling slowly across the grassland in search of their next snack. With the sun continuing to shine, Laura had one final adventure for me before our glamping adventure began. Just a couple of months ago, on her return from a long weekend in Dartmoor, she had shown me a photo of a magical, almost other-worldly place. ‘This is Wistman’s Woods’ she said, ‘it’s like a miniature wonderland’. 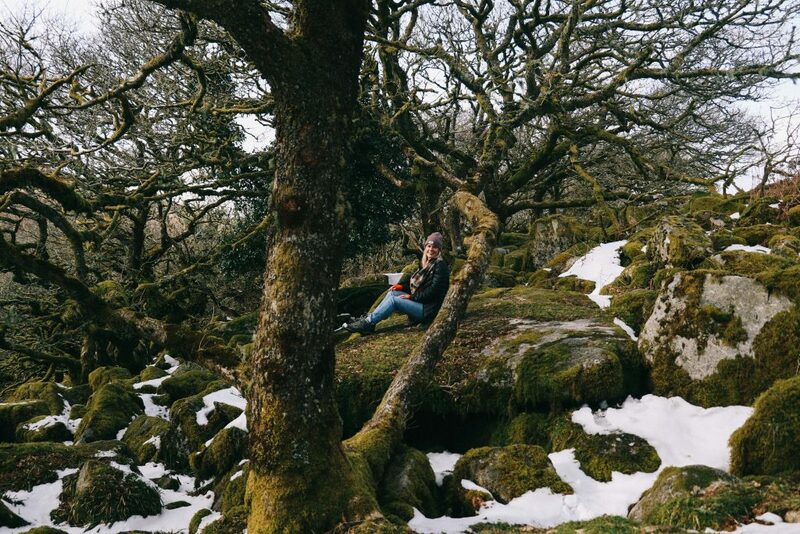 My intrigue to visit this mysterious woodland quickly overrode any aches and pains from the climb, and before long, we were snaking through Dartmoor’s winding roads once more. The walk (or gentle hike) to the woods is around 30 – 40 minutes, dependent on your speed, meaning we had just enough time to explore it before the sunset. Half an hour later, and starting to worry that Laura had in fact imagined this magical spot, I asked her where the woods were. ‘Just there’ she said, pointing off into the distance at a small patch of trees. Confused, I squinted closer. 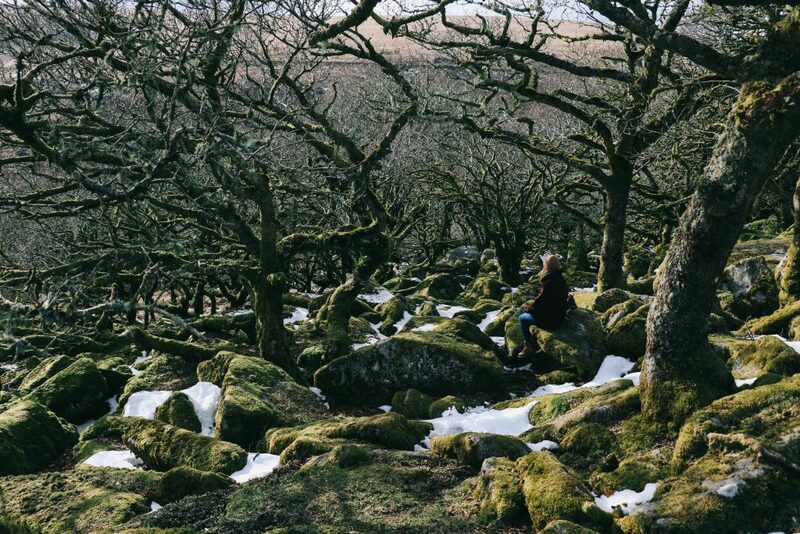 Wistman’s Woods, it transpired, is, well – tiny. A small clump of trees surrounded by fields, it didn’t look particularly magical or worthy of our hike. Arriving at the foot of the woodland, however, I was forced to eat my words; this little patch of ancient woodland was, in fact, the gateway to Narnia. Dwarf oak trees formed cobweb like shapes, their branches winding and bending to create an overhead canopy. It was both magical and spooky. Around the trees lay moss covered boulders – their furry green texture made ever more vibrant by the afternoon sun. With no other visitors, we jumped between rocks before settling ourselves in a patch of sunlight on a large boulder. We had found our way into a tiny fairytale and I wasn’t sure I wanted to leave. The final evening of our microadvenute to Dartmoor was to be spent at YurtCamp. 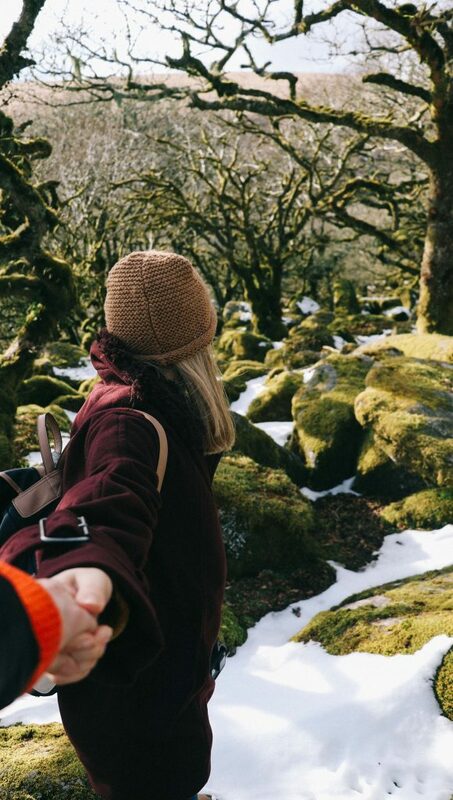 Set on 48 acres of woodland, YurtCamp is the ideal place to base yourself if you’re looking for a ‘glamping’ adventure to mix with The Dartmoor Artisan Trail. 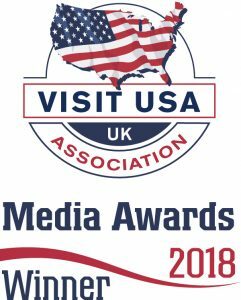 Admittedly, when finalising the itinerary, we hadn’t quite envisaged snow and -1 temperatures, but as our Dad would say, our night in the Yurt would be ‘character building’. Yet before we could throw logs on the fire in our small but perfectly formed yurt, we had one final stop at the Riverford Field Kitchen for dinner. According to our itinerary, it was a dinner that began for all guests at 7pm. Lighting the fire in our Yurt a few belly-busting hours later, we snuggled in our quilts whilst listening to the sound of the local owl that had made its home in the tree above us. The fire quickly warming our tiny home, we reflected on our three days exploring Dartmoor’s Artisan Trail. Despite the term ‘artisan’ now being part of popular vocabulary, we realised that our appreciation of what this term truly meant was distinctly lacking. ‘Artisan’, we’d discovered, didn’t stand for a cup of expensive coffee or a loaf of fancy bread. Instead, the term represented an entire, painstaking process and ultimately, a distinctly passionate way of life. Just before leaving Yuli’s felt workshop earlier in the week, she’d highlighted a small quote to help explain her work; a quote that articulates what it means to be ‘artisan’ far more eloquently than I can. From lovingly made bowls, with just the smallest wiggle in them, to hand-made shoes designed to accompany you through life’s many adventures, these items are a product of love, care and ultimately, passion. 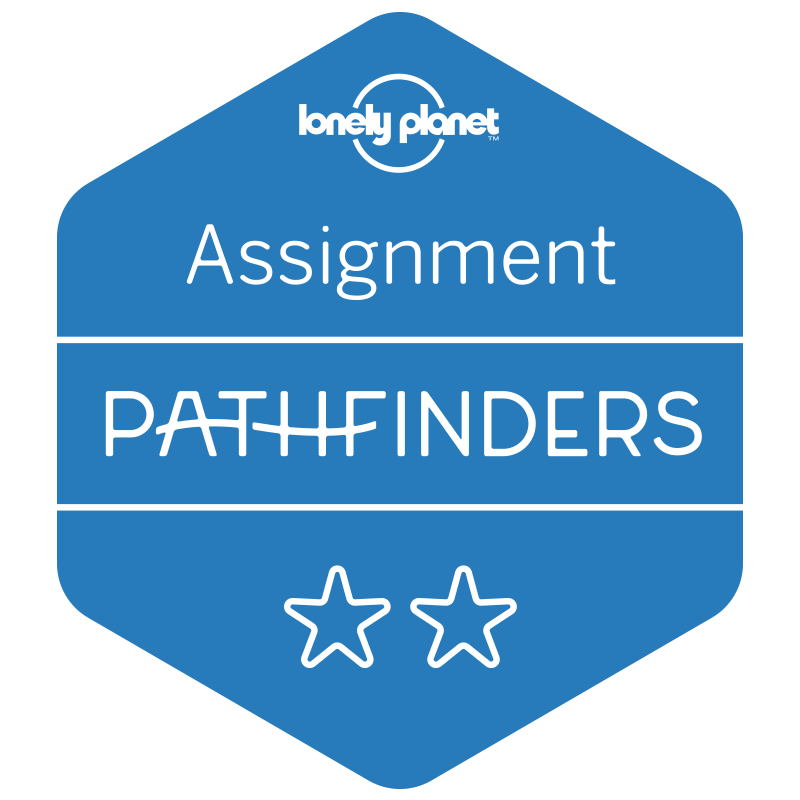 Values reflected in all of the brilliant artisans we met on our trail. ‘If you have to make a thing, you must know the background of it, the skeleton, the foundations, the actual stuff that the materials have grown out of, their connections with their natural background, their biotechnics – and then building can begin. And then, the reason for making, the purpose, the human connection. All sides must be considered and known. You cannot just make’. 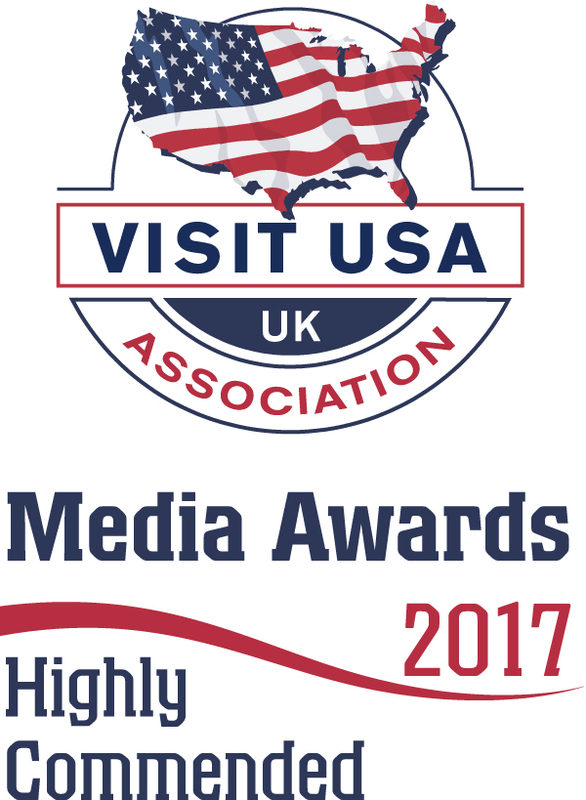 Our microadventure to discover The Dartmoor Artisan Trail was sponsored by Visit England, in our roles as Visit England Ambassadors. All thoughts, opinions and experiences, however, are our own. 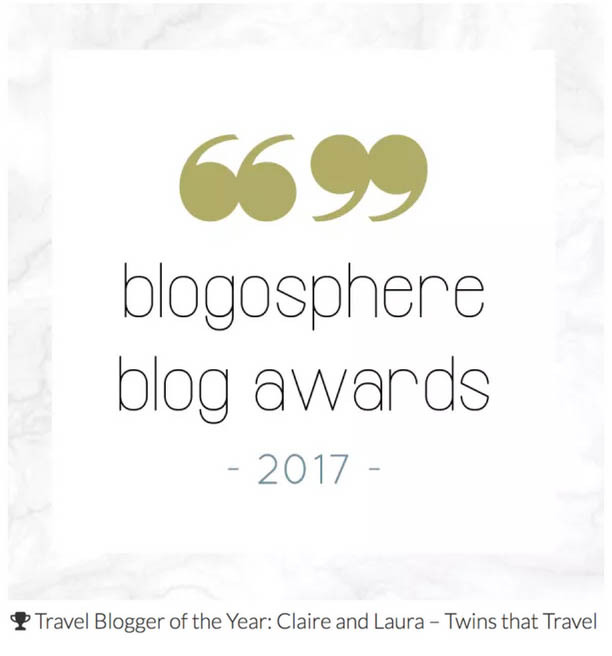 "A Night At The Arch Hotel, London"
Wonderful post! 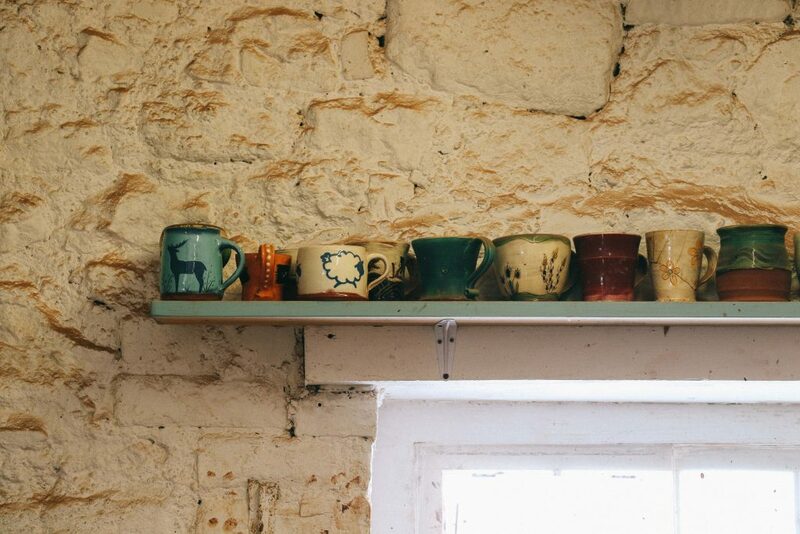 I love such hidden gems and off the beaten path stories.. and love that earthy, less polished style of pottery as well.